Have a question for Pension Sulwha? "The double room was ample space for us." "Pension Sulwha is highly recommended!" "The room 301 was small but comfortable, warm, and clean." 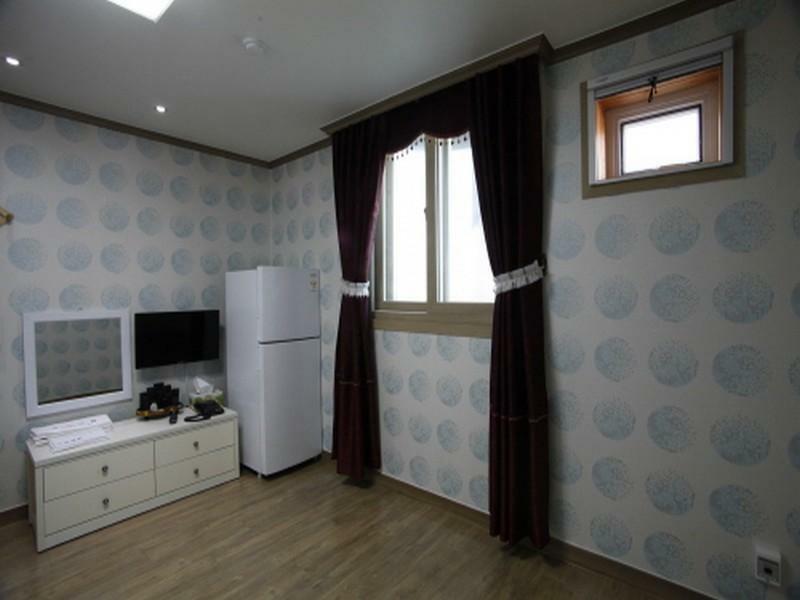 "The owner came out with his umbrella, upgraded our room and..."
Well-positioned in Mupung-myeon, Pension Sulwha is the ideal point of departure for your excursions in Muju-gun. From here, guests can enjoy easy access to all that the lively city has to offer. With its convenient location, the hotel offers easy access to the city's must-see destinations. Offering hotel guests superior services and a broad range of amenities, Pension Sulwha is committed to ensuring that your stay is as comfortable as possible. While lodging at this wonderful property, guests can enjoy free Wi-Fi in all rooms, 24-hour front desk, express check-in/check-out, car park, family room. Guests can choose from 15 rooms, all of which exude an atmosphere of total peace and harmony. The hotel offers fantastic facilities, including skiing, to help you unwind after an action-packed day in the city. Discover an engaging blend of professional service and a wide array of features at Pension Sulwha. "Large rooms, well decorated, nice bathroom." The family who owns and manages can speak English so communication is convenient. the location is outside the ski resort so ti is quite. There is barbecue cottage at the yard and also grills that guests can use. The room 301 was small but comfortable, warm, and clean. 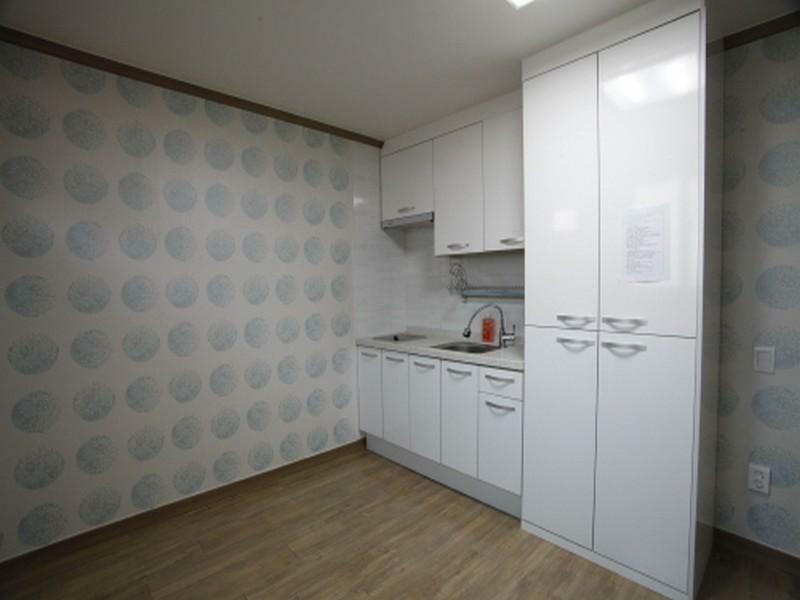 The room is equipped with kitchen, cooking wares, utensils so great for those who want to cook on their own. Owners picked us up from bus station and dropped us off at ski resort for free. Super friendly and accommodating. Sulwha is a very nice pension with all the amenities one could wish. Large rooms, well decorated, nice bathroom. Although the pension is a distance away from the ski resort, staff will help you in any way possible with your mobility needs. I was off-season here however for hiking, and had a rental car, which was practical. Dana and her parents are fantastic hosts and they made my stay in Sulwha an unforgettable one. Pension Sulwha is highly recommended! We arrived in the rain for our overnight stay. The owner came out with his umbrella, upgraded our room and called his daughter on his mobile who speaks English well. They then organised for a huge ski hire discount at the ski shop. The double room was ample space for us. All cooking utensils and crockery was included. #note: no microwave or electric kettle. Just a stove top. 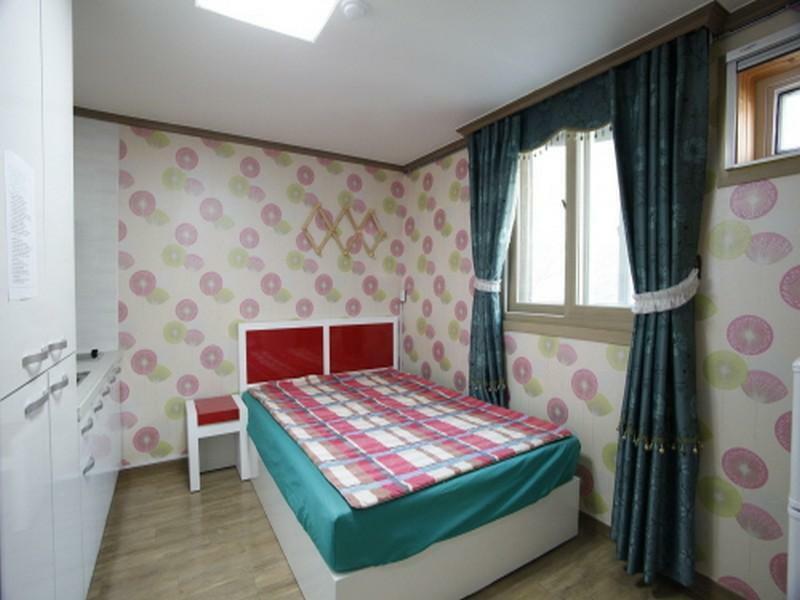 Double bed for parents, ondal style beds for the kids. The kids did find the mattresses and floor a bit hard though compared to other ondals we have stayed in. The pillows may have been traditional... if you are fussy with pillows take your own, as these were small and were filled with beans (?). The rooms were pristinely clean. I would stay there again and definitely think it is an underrated 2 star hotel/pension. Comfort, clean, spacious family room. The place looks better than the pictures. Amazing and super stay. Warm hospitality n the owner family went extra mile to make us comfortable. Dana speaks excellent English. She brought us to a ski rental shop which offered good service too. Overall a fantastic stay n felt my 2 nights stay easy Just too short. We enjoyed our stay very much, owners were extremely helpful, the room and locations were great. The hotel is definitely underrated. Super friendly host. Arranged someone to Drive us back from the ski resort when we missed the bus. Gave suggestions on the best route to go to Seoul. I love the host and her elderly parents. They gave us kimchi and rice when we did not ask for it. Even gave us a container of sweet potatoes to take to the ski resort. Elderly parents drove us to the bus shuttle and took time to explain where we wanna go and stayed until the bus left. The Ondol style mistress was kinda hard for me and my mom. Overall was very good. Pension owner was extremely helpful and accomodating. I was very impressed by the service provided and would highly recommend this pension for anyone going skiing. Pension owner can speak English and she set us up with discount rate ski/snowboard equipment. Staff's performance, excellent value for money. The hotel was a bit far away from the ski resort and the bus terminal as we travelled from Jeonju. However, the staff offered to collect us from the bus station. The woman who works there speaks great English which was a bonus! She asked us our plans for our two day stay. She came back within 30 minutes with a schedule written down for us with all the details we needed (names of bus terminals to collect the shuttle bus to and from the ski resort, bus times etc). The staff would drop us off and collect us from the shuttle bus at any times we liked. They arranged all our ski hire for us, via a ski shop. They took us there to choose our ski clothes and equipment. I think it was a great deal! It only cost $75 each for skis/snowboard and gear, also including an 8 hour lift pass, so definitely a big saving doing it through the hotel. The ski shop drop you off at the ski resort. I would definitely recommend this hotel as the staff are organised and extremely helpful which made our stay relaxing and enjoyable. It's a great value for money too. This was our second stay here, the staff remembered us and looked after us with a free room upgrade. They make us feel very welcome and helped out again with our ski rental/ lift passes. This is budget accomodation, but it is very clean and comfortable and for the price is outstanding value for money. We will definitely be back again. Thank you. Petit hôtel accueillant (qui nous a d’ailleurs upgrade). Propriétaires chaleureux et serviables Parking. 제가 여행간 것이 아니라 엄마가 무주에서 친구분과 하루 놀기로하여 대신 잡아드린 숙소입니다. 하루만 묵을 것이기 때문에 제일 저렴한 곳으로 선택했는데 생각보다 어머니가 많이 좋아하셨습니다. 처음에 홈페이지에 올라와있는 방 사진을 보여드리니, 어머니께서 너무 여관방 같다고 싫어하셨는데 막상 가보니 생각보다 방도 크고 넓고.. 주인분(여성)께서 차로 이곳저곳 데려다 주셔서 너무 편안한 여행을 하셨다합니다. 사장님도 친절하시고 가족동반해서 가기엔 저렴하고 공기가 너무 좋아서 정말 좋습니다. 자녀들이 큰 청소년이라고 큰 방을 내어주셔서 편하게 잘 쉬었습니다. 정말 고마웠습니다. 전반적으로 깔끔하고 아늑한 분위기어서 좋았습니다. 다만 작은 방이 한기가 좀 많이 있어서 약간 아쉬웠습니다.